This is my last post from Sundays art show…it wasn’t really a piece, but I have a interest or soft spot for classic and vintage vehicles., this particular model from the 1930’s. I have restored a number of 70’s vehicles, but never something of this age. Perhaps one day when I get some time and space I will be able to. I love the style, the lines and stand out design these old models bring. Photo wise, I wanted to simulate a more period look. 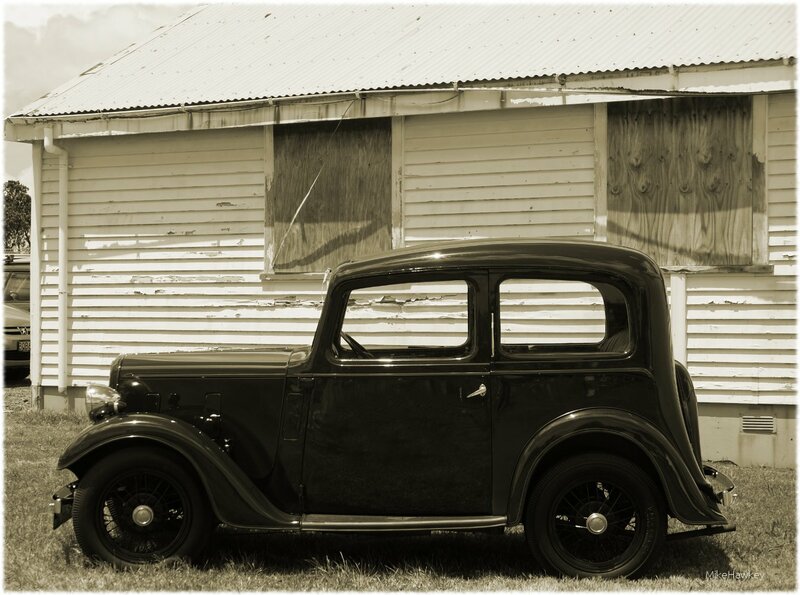 Using Gimp I desaturated the image after cropping out some of the left of the image which had more modern cars. I then added a faint sepia layer and added a rough boarder. I think if I spent some more time and either further cropped or clone stamped the other cars nose out from next to the building it would look pretty good.